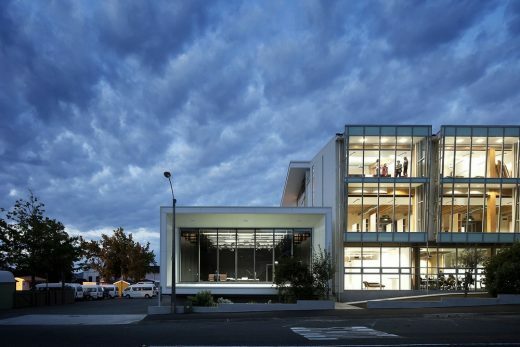 Set in a region of New Zealand renowned for being an arts incubator, this building is the built intersection of paired aspirations; the Nelson region’s physical and philosophical requirement for a leading edge arts teaching environment, and the New Zealand Government’s objective for a landmark timber structure that showcases structural timber within architecture. 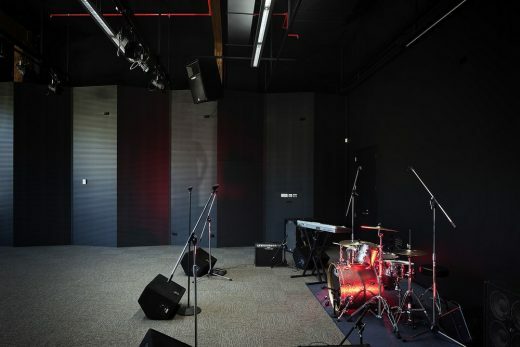 Commissioned following success in a National Design Competition, this new building reconnects a variety of artistic disciplines to encourage collaboration and cross fertilisation. 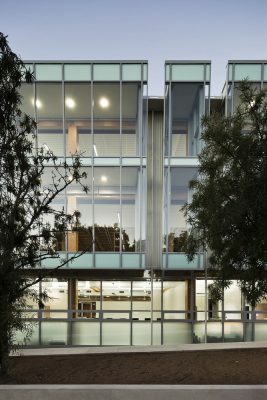 Completing a significant campus crossroad, the facility connects arts teaching, studio, performance and workshop facilities to the campus via a three level atrium. 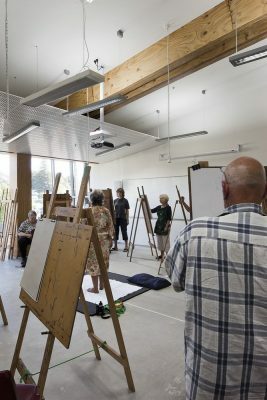 Enjoying northern sun and outlook beneath a broad, protective eave, this campus circulation space encourages social interaction centred on the display, critique and exhibition of art. 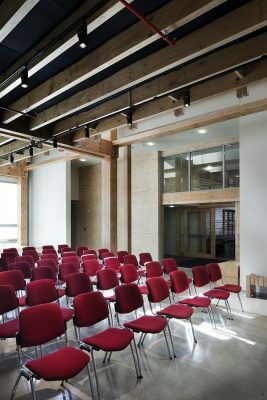 Teaching and studio areas gather soft south light without the need for elaborate sun control and are readable both from the atrium and the city. 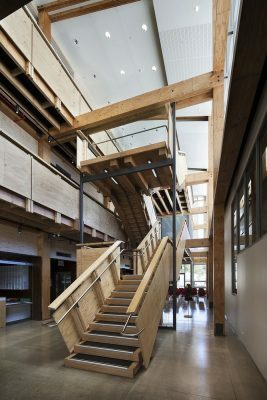 This vision of ‘Exhibition not Inhibition’ for art education parallels the expression of timber components within the building and to the surrounding community. 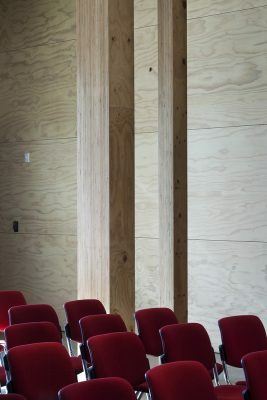 Timber is used as structure, but further to warm, articulate and de-institutionalize the teaching environment. 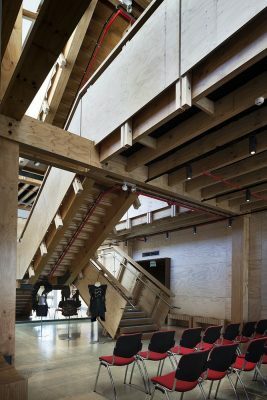 All timber elements are left on show to express their function and highlight timber’s potential as a design and structural element. 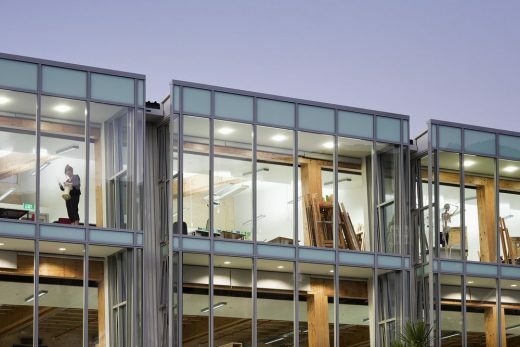 The building utilises Laminated Veneer Lumber (LVL) for all structural components. 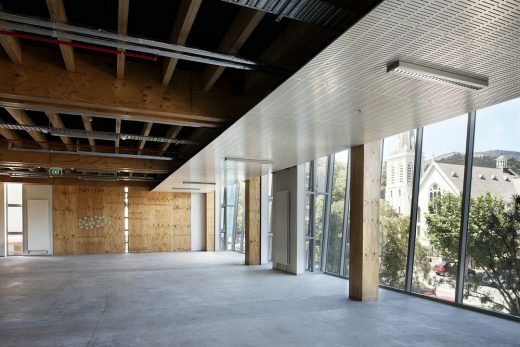 World first ‘damage avoidance’ seismic engineering incorporates post tensioned timber shear walls. 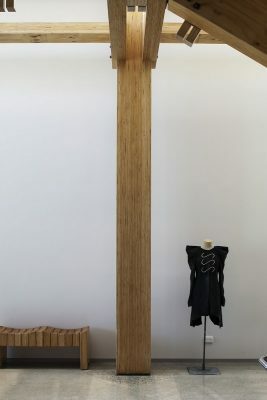 These enable use of a straight forward post and beam gravity frame, immediately legible in its simplicity. 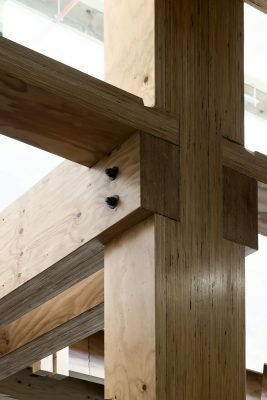 The timberwork, while up-scaled, speaks of conventional domestic timber structures, developing the notion of a crafted provincial vernacular. All structural components are grown, milled, manufactured and erected within an eighty kilometre ‘Radius of Resource’. 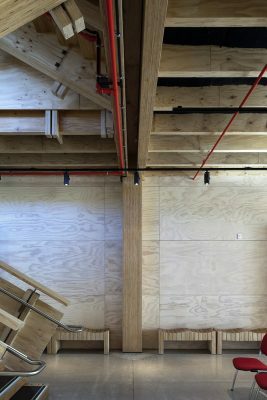 All timber is fundamentally local, acting as a carbon sink, the foundation stone of an environmentally sensitive design philosophy. 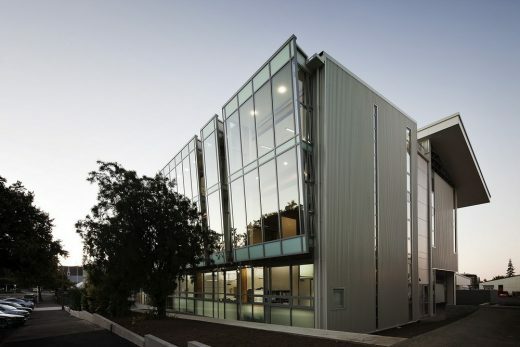 Sustainable passive approaches to daylighting, ventilation and shading are combined with double glazing, high insulation values and extensive thermal mass to reduce energy use. 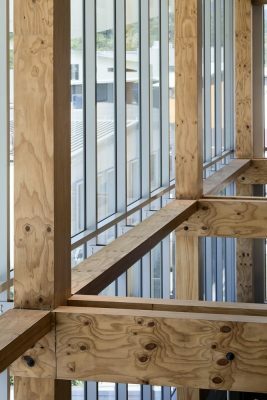 This innovative timber building provides an uplifting environment for learning; an economic community asset and a sustainably sound solution to the provision of tertiary education facilities. 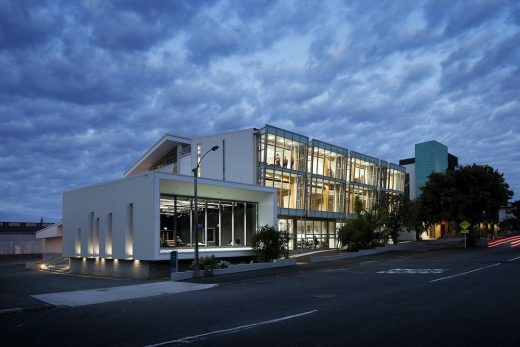 In the aftermath of the severe 2011 Canterbury Earthquake, the design approach and change in structural philosophy pioneered in this project is changing the way that NZ’s Government, Construction Industry and the Canterbury Earthquake Recovery Authority contemplate the reconstruction of Christchurch.